Most frozen yogurt recipes require an unhealthy amount of refined sugar, heavy dairy and even corn syrup. As expected, the texture of this dessert will be different from the other, less healthy alternatives, but the flavor makes up for the lack of rich creamy texture. What makes this recipe healthy is the Nonfat Plain Greek yogurt which is full of calcium, protein, potassium, zinc, and B Vitamins. Greek yogurt typically contains two times the amount of protein as regular yogurt and has probiotic cultures that help boost immunity. 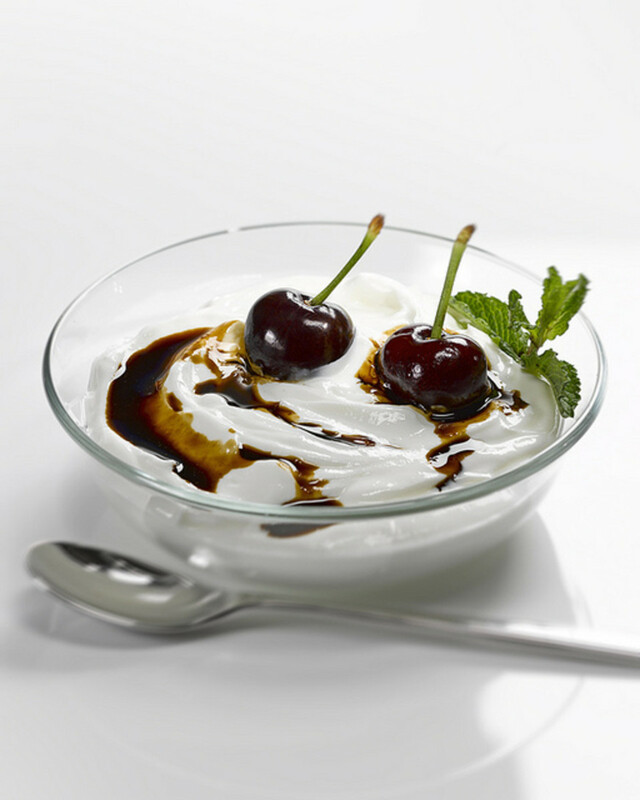 Greek yogurt will keep you full longer because of the protein content and it can help control weight because it is typically lower in sugar than regular yogurt. The chocolate sauce topping is clean and raw. Compared to Hershey's syrups or melted chocolate chips, this sauce is an excellent, low calorie alternative that packs a load of antioxidants. To top it all off, I added Whey Isolate to the yogurt to boost the protein content. 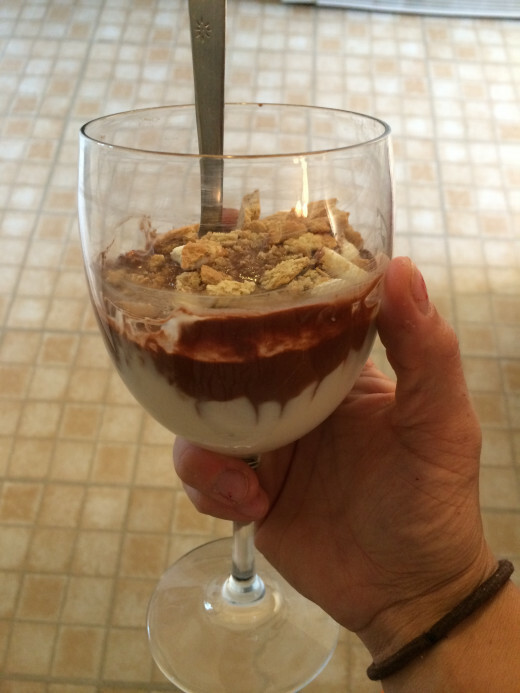 This makes this recipe a great post workout meal or even a great snack to hold you over between meals. 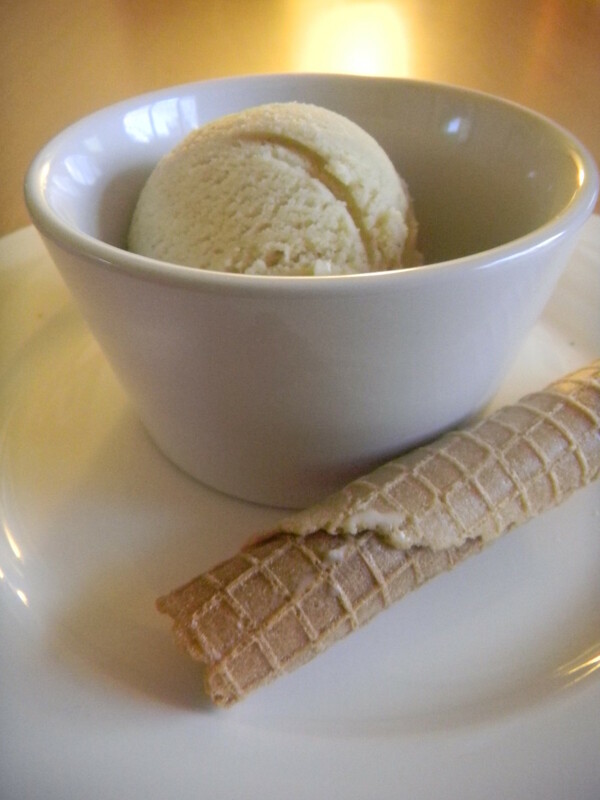 It also gives it a nice, creamy texture and rich vanilla flavor. 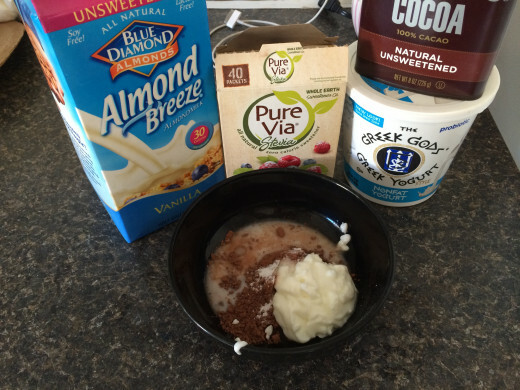 In a regular bowl, combine 1 cup Greek Yogurt, whey protein, sweetener, and vanilla extract. Mix thoroughly with a fork and leave no lumps. 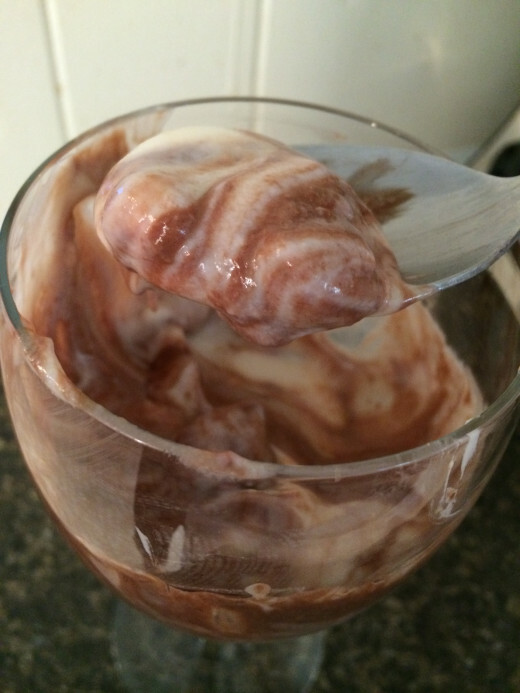 Put the froyo mixture in the freezer and allow to chill for 45-60 minutes. Stir every 10-15 minutes so that it chills evenly. 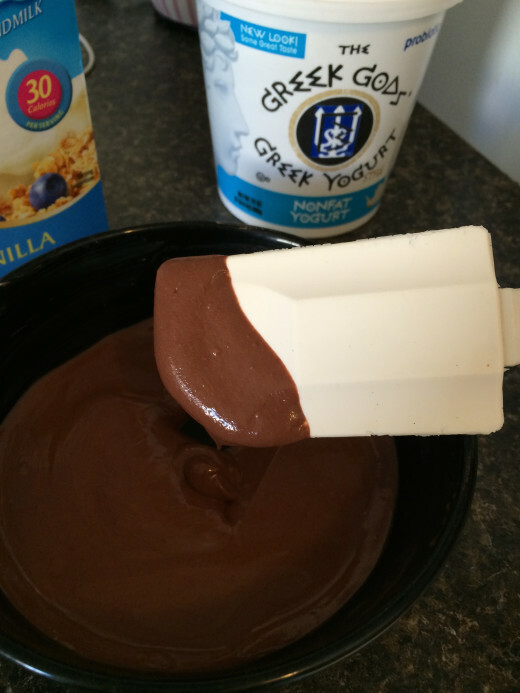 While froyo is chilling, mix together cocoa powder, greek yogurt, almond milk, vanilla extract and sweetener. Continue adding sweetener until desired flavor is reached. 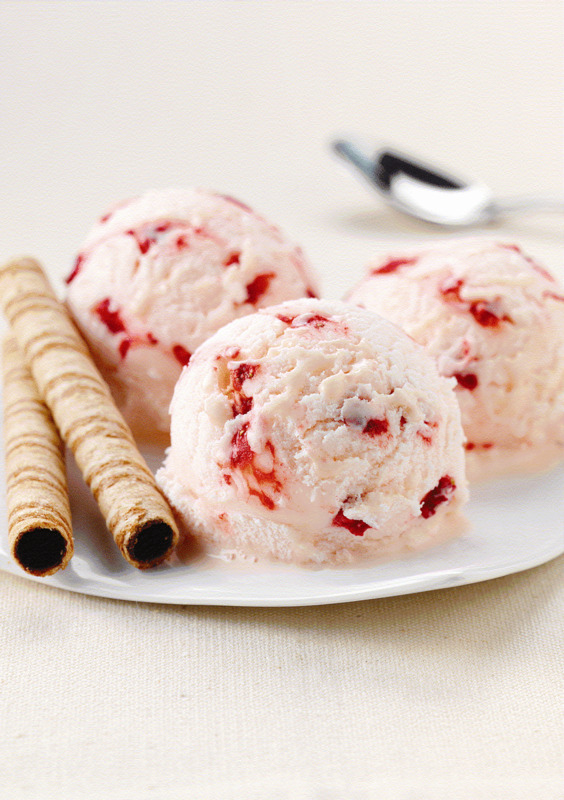 Remove froyo from freezer and separate into two bowls if making two servings. Spoon chocolate saue over froyo. 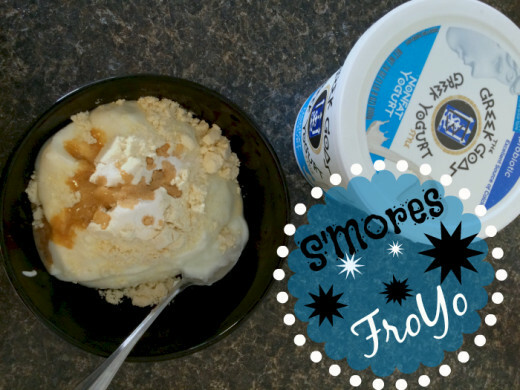 Chop large marshmallows into smaller pieces and place on top of froyo. 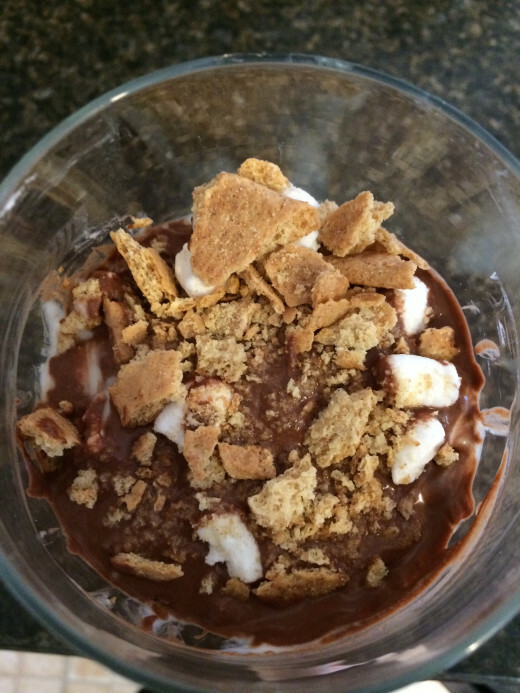 Then crumble graham cracker over top of froyo. 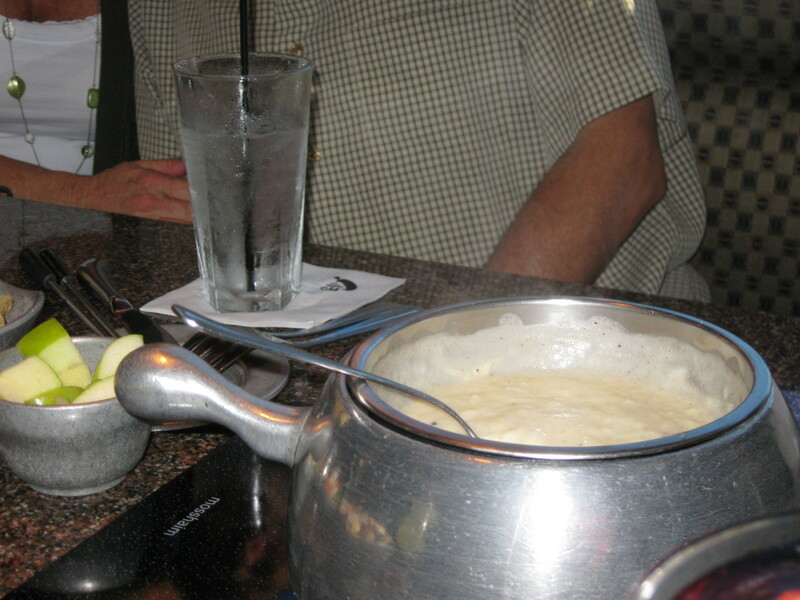 If desired, stir everything together and enjoy. This is totally up to you. For reference, I ended up using 4 packets of Stevia in my chocolate sauce. I thought I could get away with one or two, but it was pretty bitter and I was really craving something sweet and chocolatey. If you don't want to use this much sweetener, you can try cutting the cocoa powder in half. This will give you a less rich chocolate, but would still suffice for the recipe and flavor profile. I will be trying it in the near future because this recipe does not always fit into my Carb macros. I'm sure there are a lot of other people in the same boat. This recipe is originally high in carbs, mostly due to the yogurt, which has 21 carbs per cup, and a good number of those are sugar. So, I have done a little research and found an alternative. Cottage Cheese... Others say that 1%, low sodium is best (be careful with cottage cheese. A lot of it is loaded with sodium). Anyhow, you would replace the yogurt in this recipe with 1 cup blended cottage cheese and 1/4 cup almond milk or milk of choice. You will still add in the sweetener, vanilla extract and whey isolate. Also, beware that this will skew the calories, as cottage cheese has more calories than nonfat plain greek yogurt. It will also add fat content based on what percent cottage cheese you choose to use. If you happen to try this low carb froyo option, let me know how you like it in the comments below. Even if you don't let me know your opinion on the original recipe and any tweeks you made. Together, we can probably come up with some pretty phenomenal, healthy treats. What a delicious recipe. I love the alternatives to make it sweeter. Voted up for useful! Mmm, sounds delicious! I love greek yogurt.